Botox is not only a cosmetic miracle, but it is used in medicine to treat various conditions. 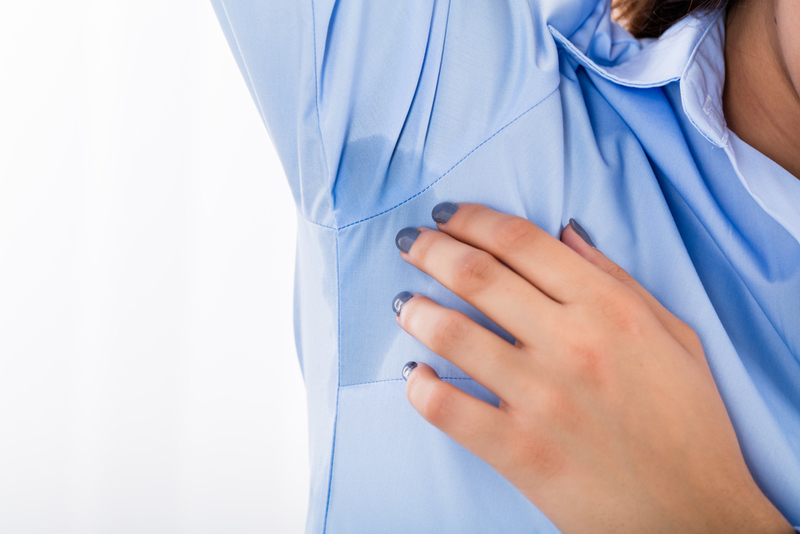 Excessive sweating, also known as Hyperhidrosis, may be very annoying and embarrassing. Hyperhidrosis can be treated with prescription medications, but they are not always effective. Botox injections into the troubled areas solve this inconvenient problem and results can last up to 12 months. By relaxing your sweat gland muscles, Botox significantly reduces excessive sweating under your armpits. It can also be used on other areas like hands and feet. After the injections, it takes about 2 weeks to see final results - markedly diminished sweating. You can continue with deodorants and antiperspirants after injections to make yourself feel completely free from embarrassment of excessive sweating. Typically we inject 50 units per side, so 100 units together. It varies, for most patients results will last 6-10 months. Do I need to use deodorant after Botox treatment? Yes, we suggest continuing with your daily hygiene, including deodorants. Botox decreases excessive sweating, but does not eliminate it completely.